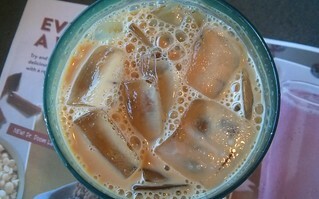 Iced cappuccino for breakfast. My first one. Probably I won't repeat.